Juicy, Creative, Feminine Soul Goodness. Experiences where you can drop in for a few hours and relax, reconnect with yourself, your soul and spirit, in the company of women (and in some cases a few brave, awesome men). Find your tribe. 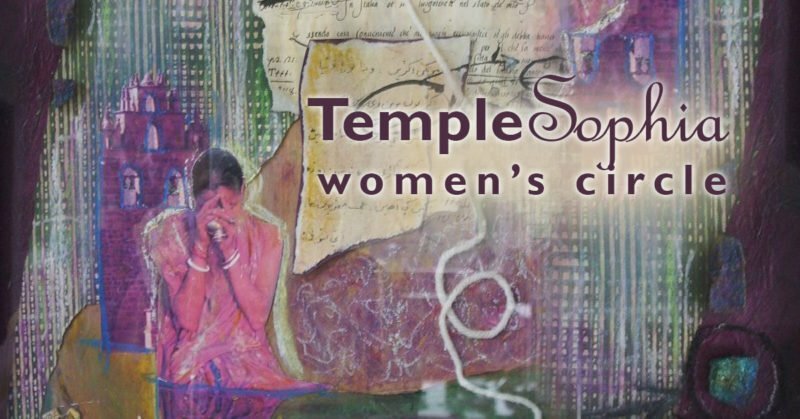 TempleSophia: Women’s Circle Are you yearning for deeper connection to your feminine power & magic? Enter a sacred space to receive higher guidance and express your authentic self. Gather at the Balch Hotel in Dufur, Oregon for an evening women’s temple and explore your Sacred Feminine. A Red Tent circle to access your vision, find your voice, and gain confidence and courage to go for your soul desires. See when the next one is HERE. For a soul nourishing priestess excursion, spend the night at the hotel and have a spa treatment the next day! Connect with your creative side as you relax and play…. Explore your Creative Spirit and paint in a supportive circle of creative kindreds. Enjoy boutique creative experiences where you get personal attention, facilitated by an art therapist, at wineries, breweries and boutique hotels in the Columbia River Gorge. You’ll be guided through a painting of your own creation, whether you follow along or take your own path. And you come away with your own masterpiece as a keepsake of your adventure, especially when with friends or family. Feed your Creative Spirit with sustenance for body AND soul as you enjoy exceptional local wine, beer and artisan food. 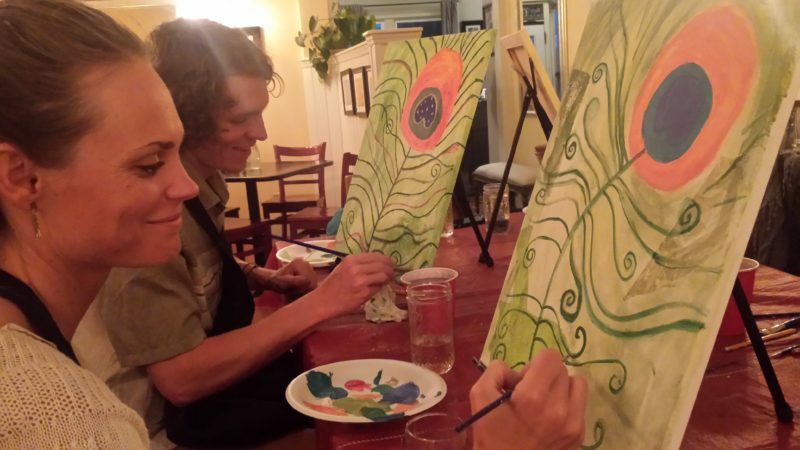 Whether you’re a novice or an experienced artiste, you’ll feel good about your creative flow in the light-hearted atmosphere of like-minded new friends making art. Maybe you’d like to do this as a private event? 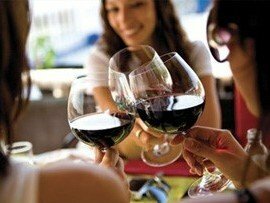 (Imagine a birthday, bachelorette party, staff retreat, reunion, or girlfriend getaway.) Contact Claire to explore the possibilities. *For event updates, get the newsletter and you’ll hear first when Claire is offering something fresh and new!